Very nice post! 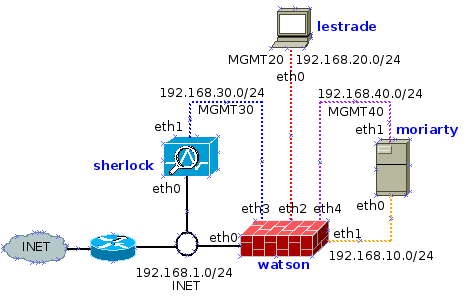 Following your guide combined with other similar posts in other blogs I have benn able to setup my ESXI6 lab using vyos providing routing for my networks. But there is one item i have not been able to understand even spending days. Hi Marco, I’m sorry but I’ve no experience on that topic however I’ll study it and let you know if I found something useful. Thanks for reading! Thanks for quick and kind reply. – enterprise products like this are used just in big company in which there are network admins working on cisco/juniper tecnologies that natively support this kind of configurations. And for a senior network admin shouldn’t be a so difficult task. I already created the first part of the lab, now what is missing is how to simulate a layer2 (or 3???) connection with a remote site and use all kind of possible DR solutions. Hi Marco, I’m spending some time this weekend reading articles about stretched lans. I guess the reason behind using pfSense is that using openvpn with a web gui and configuring the bridge it’s quick and easy. If you give me some days I could try to use vyos in a test scenario, I like the topic and would like to write about it, maybe I’ll to ask you some questions to prepare the lab. Once again thanks for contacting me.